Okemo Esperanto . . . Kiel atingi Okemo? . . . 6-8 Oktobro 2001 - 32 . . . (de Enrique) . . . . . . . . . . . . . . . . . Please see all the maps on this page. Take exit 24. While paying toll stay on center lanes. Go about 6 miles North. Do NOT take Exit 6 to route 7 West. Take Exit 7, Route 7 East. Map M13. 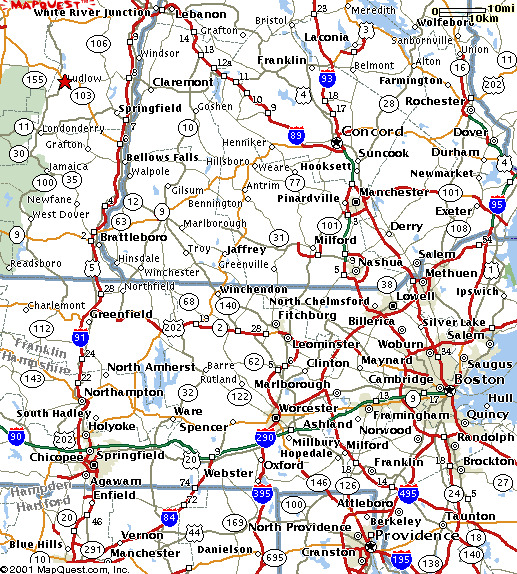 Go 28 miles West on Route 7 to the Vermont State line. 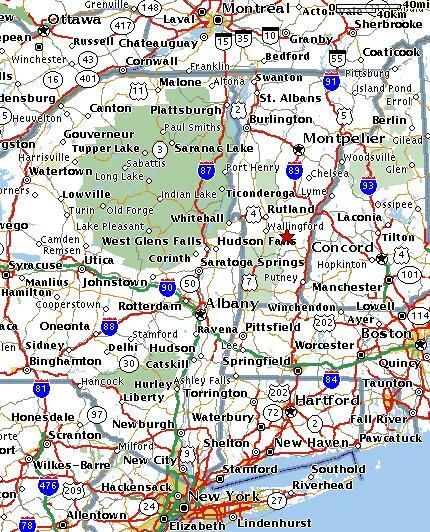 Continue with directions "From Albany Airport"
Going North on the New York State Thruway take Exit 23. Follow signs to Route 787 (North). Go 9 miles North on Route 787. Exit to Route 7 East. Map M13. 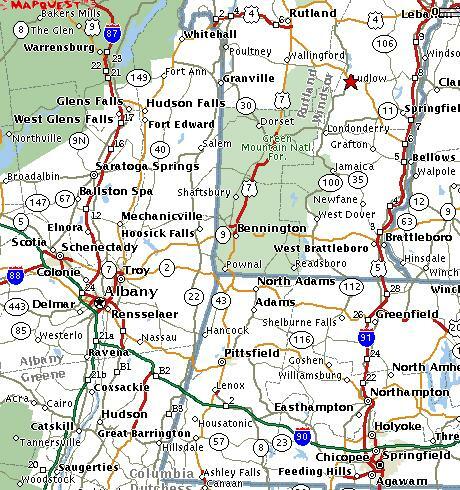 Go 24 miles East on Route 7 to the Vermont State line. Exit the airport going South. Go one mile. Follow signs for Route 87 North. Go under the the highway bridge, stay left. Make a left turn into the highway entry ramp. Go about 3 miles North. Do NOT take Exit 6 to route 7 West. Look very well to maps M14 and M15. Do NOT reach downtown Bennington. Traffic is very slow. Take Stage Road to Route 7. Map M15. to reach the same point. Go 20 miles North on route 7. Map M16. Go 12 miles West on route 11 to route 100 North. Route 100 South comes first. Go about 15 miles North on route 100 to Ludlow. Map M01. Stay on route 100 North another 300 yards (bear left). you will see the entrance to Okemo. Make a left turn into Okemo Access Road. Stay on the Okemo Access Road until the red barn, turn left. you will find the reception area. Go 63 miles North on 93. Maps M03 & M17. Go 35 miles North-East on 89. Go 20 miles on NH-11. Go 24 miles North on NH-103. Map M01. Go less than half a mile after reaching Route 100. Make a left turn into Okemo Access Road. 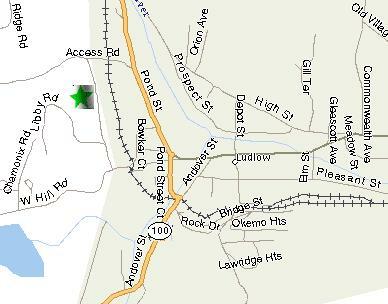 Stay on the Okemo Access Road until the red barn, turn left. Go 15 miles South-East on Route 10 ot Route 35. Map M19. Go South on Route 35 to Iberbille. Go South on Route 133 to Philipsburg on the border. Cross the border, continue South on Route 89 to Burlington. Go South on Route 7 from Burlington to Rutland. Map M20. Continue on Route 7 to Pierces Corner, to 103 South-East. Route 103 joins Route 100. Map M01.